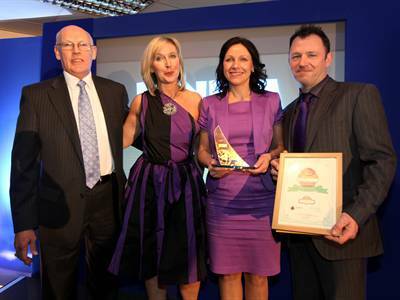 On Monday 21st February 2011, at The Riverside Stadium, Middlesbrough, Idea Ltd won the Best New Business Award from the Environmental Category 2010. "I feel very proud to have achieved this award, in recognition for all the hard work. We have a strong team and are very grateful to work with some of the leading housing associations, local authorities, solicitors and estate agents" Alun Bell. "We have worked very hard to differentiate ourselves and stand out from our competitors, our branding, website, knowledge and excellent customer service is finally starting to pay off, I am extremely delighted." Angelina Bell.